Assistance at your arrival in Lima International Airport and transfer to your hotel. There you will receive a briefing on your tour; receive vouchers covering all the services included in your tour and additional information on the organization of your Peru trip. Lima City Tour can be replaced by a visit to the Sacred Site of Pachacamac In the morning, guided sightseeing tour to the most attractive and important sites in Lima, the “City of Kings”. 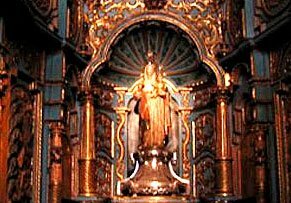 The tour includes Lima’s Historical Centre, passing by Plaza San Martin, Plaza Mayor, the Government Palace, the City Hall, the Cathedral and its Religious Art Museum, the Church of Santo Domingo and Lima’s Colonial Balconies. We will visit the Convent and Church of San Francisco, the greatest monumental complex of Colonial Art in America and Cultural Heritage of Humanity. The tour includes a visit to the Basilica of 21 altars, Convent of Cloisters, Capitulary and Clementine Rooms, Chorus and Library of the monks, a Museum showing 11 paintings of the Rubens School, the Sacristy with paintings of Surbaran and Ribera, its great patio decorated with Seville tiles of the XVIth century, Moorish arches and underground Catacombs. And finally we will go to the residential districts of San Isidro and Miraflores, passing by the Huaca Pucllana, a ceremonial and administrative centre of the Lima Culture built in the II century A.C. that the Incas considered as “Ñaupallaqta” or Sacred Town. We will also visit El Olivar Park with olive trees brought from Spain in the XVth Century, the Central Park of Miraflores and Larcomar, a symbol of modern Lima and a tourist and entertainment centre as well as a privileged site to enjoy an amazing view of the Pacific Ocean. A unique archaeological and mystical experience: The Oracle, Temples, Palaces, Myths and Legends. Our tour will start at the Pucllana temple built in the IV century A.D., an ancestral and ceremonial site dedicated to the local divinities. A panoramic view of the Huacllamarca shrine, a typical pyramid that characterizes sacred buildings on Peru’s coast. These shrines are located in the modern Lima neighborhoods of San Isidro and Miraflores. Next, a guided tour of the splendid and vast archaeological citadel of Pachacamac, the temple of the deity Pachacamac, believed to be the creator of the universe and a divinity adored by old Andean civilizations. 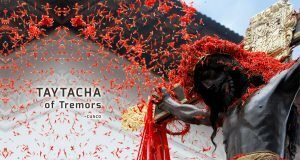 A sacred and ceremonial site dating back to the beginnings of Christianity where thousands of pilgrims converged to pay tribute and consult the Pachacamac oracle, who they believed could see the past, the future and people’s fate. The site comprises pyramidal temples and enclosures built by successive pre-Colombian civilizations and finally the Incas. Highlights include the Temple of Pachacamac, the Sun God shrine, and the Palace of the Chosen Women or Virgins of the Sun. At the site museum there is an idol of the deity, Pachacamac, which couldn’t be seen by the profane, and was reserved for the high priests who kept, revered and interpreted the divine oracle in the old times. A sacred site, the temple was considered to be part of the planet’s mystical axis. See Peru’s most famous gold collection. A spectacular collection of Peruvian Ancient Gold and the Arms of the World Collection. This tour also includes a visit to Friendship Park. On our tour of Peru’s Gold Museum, visitors will appreciate a dazzling collection of gold artifacts from various pre-Colombian civilizations, some more than 3,000 years old. Ancient Peruvians were master metalworkers. The “cire perdue” or lost wax process, known across the Orient and lost in the West until the Renaissance, was the most frequent technique used by master ancient Peruvian gold and silversmiths. Metal pieces and jewels of incalculable value in gold, silver and precious stones used by the Incas—the children of the Sun God and monarchs of the vast Inca Empire—are shown in this collection. Five hundred years ago, the gold of Peru attracted many European adventurers who conquered the Inca and founded the Vice-Royalty of Peru under the Spanish Crown. Peru’s Gold Museum also houses a valuable collection of old and modern weapons that ranks among the best in the world. The halls in this section show the Arms of the World Collection of armour, uniforms and various ancient war artifacts and weapons from various time periods around the world, some dating back to as long ago as 1300 B.C. Breakfast and transfer to the airport to take flight to Cusco. Meet upon arrival and transfer to your selected hotel. In the afternoon, we will visit the City of Cusco on a guided sightseeing tour visiting the Main Square, the Cathedral and the Temple of the Sun or Korikancha. Then, we drive out of the City to visit the Inca sites of Kenko, Tambomachay, Puca Pucara and the impressive Fortress of Sacsayhuaman, strategically built on a hill overlooking Cusco, famous for its enormous carved stones, some of them standing over 9 m / 30 ft high and weighing over 350 tons. The day starts with an early morning rise to transfer to Cusco train station for a 4-hour train journey to the famous Inca Citadel of Machu Picchu, also known as “The Lost City of the Incas”. Arrive at Aguas Calientes train station followed by a 30-minute bus drive, climbing 6km of winding road, to the incredible Machu Picchu. Upon arrival, we’ll participate in a guided tour of the Citadel, visiting the Main Plaza, the Circular Tower, the Sacred Sun Dial, the Royal Quarters, the Temple of the Three Windows and various burial grounds. After the tour you will have time to stroll around the archaeological site at your leisure. Lunch at a local restaurant in Aguas Calientes Town. Return to Cusco arriving by 8:00PM. Early morning bus excursion to the Urubamba Valley, the Sacred Valley of the Incas. Visit to the picturesque Indian Pisac Market held on Tuesdays, Thursdays and Sundays, the shopping paradise of the Andes where barter is still practiced. Enjoy the unique atmosphere during a typical lunch. In the afternoon, passing through the Towns of Calca and Urubamba, we visit the Inca Fortress and Citadel of Ollantaytambo, built to guard the entrance to this part of the Valley, and protect it from possible invasion from the tribes in the Lower jungle. You can walk through the quaint streets of the nearby Town, and get a good idea of what this Strategic Military, Religious, and Agricultural Centre was like during the era of the Inca Empire. On our way back to Cusco we stop of at the picturesque Andean village of Chinchero to visit the ruins of the Royal Hacienda of Tupac Inca Yupanqui. We will admire a well-preserved Inca Wall in the Main Square, and visit the beautiful Colonial temple built on Inca foundations, with interesting frescoes in the portico. Late afternoon return to your selected hotel in Cusco for overnight. Evening free. We suggest strolling around the Main Square and enjoy the night atmosphere trying a delicious Pisco Sour in some of the many pubs around the Square. Note: The visit to the Village of Chinchero depends on the time available. THIS PORTION OF THE TRIP CAN BE REPLACED WITH A 45-MINUTE FLIGHT TO PUNO Transfer to the terrestrial port to take at 8 am approximately the Inka Express Bus to Puno, stopping on the way for guided visits in Andahuaylillas, Raqchi, La Raya y Pukará. Piquillacta is proud of having one of the finest agricultural terraces built in the zone of Cusco. Lunch in country restaurant in Sicuani. Reception at the bus station in Puno and transfer to the hotel. Early in the morning, we will have an unforgettable motorboat excursion on the waters of Lake Titicaca to the unique “Floating Islands” of the Uros. These ancient inhabitants of the Lake, known as the Water Tribe, have built their own “Islands” by periodically adding new layers of a type of reed called “totora” (Scirpus totora), vegetable fibre of the Papyrus family. Their homes and boats are also made from this material. We continue to Taquile island (4040 m.a.s.l) where we will discover one of the most beautiful andean places with plenty of hills and archaeological sites, weaving is the main activity and garments made with high technical fabric designs shows their daily lives. Return to Puno in the afternoon. Accommodation in Puno. Open morning in Puno and afternoon transfer to airport to take return flight to Lima. Reception and transfer to hotel. Free afternoon. Morning or afternoon transfer to Lima airport and assistance with boarding departure flight.